During the China P&E Show in Beijing last April, Sunwayfoto® declared their intention to enter the tripod market with the announcement and exhibition of a range of Tripods consisting of tabletop, traveler and classic models, without much information about specs though. Now, it was the time, to actually enter the tripod market with the release of the smallest member of the Sunwayfoto pod family. 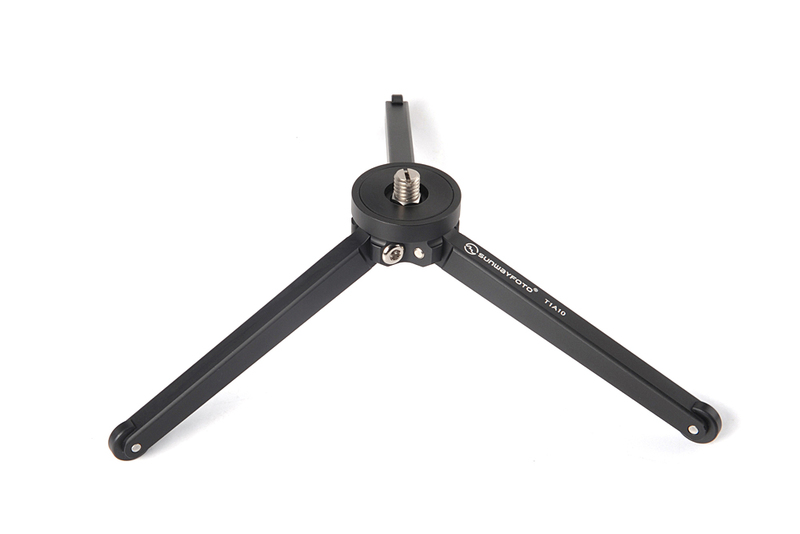 The T1A10, a very compact and lightweight aluminium tabletop tripod with an announced max load of 10 kg and a very competitive price. T1A10 lands in a very competitive and very crowded market segment with a lot of well known rivals, like Manfrotto's 209, 709B and the Pixi as closer and the mighty RRS® TFA-01 as the closest rivals. 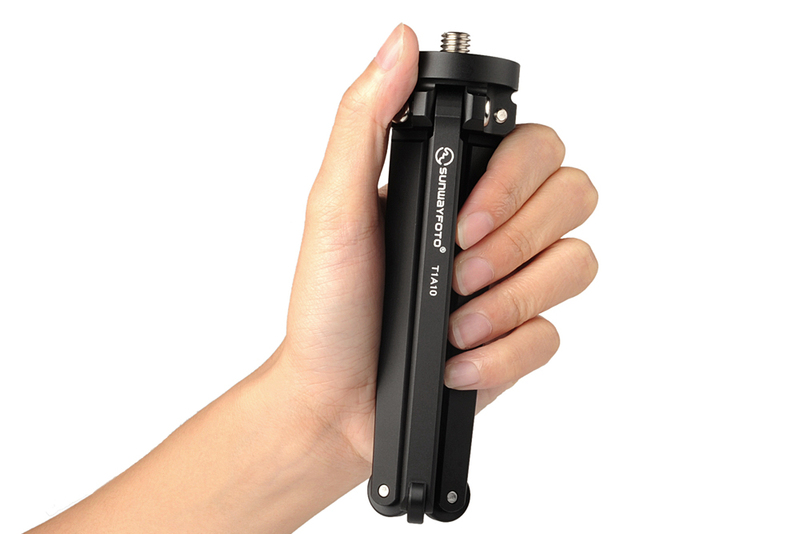 Following the Sunwayfoto quality standards, the T1A10 is made of CNC machined, Aircraft grade Aluminium and then satin anodized with improved abrasion and corrosion resistance. The T1A10 structure is simple consisting of a top platform which includes the top mounting plate with a 1/4"-20 stud and the leg hings below. The legs are solid aluminium ending in circular solid rubber pads which offer enough friction to allow the pod to stand with the legs spread in different positions. The T1A10 has user adjustable leg tension which allows it to stand from 135 mm high with the legs in an upright position or be lowered at unlimited positions in between until its legs are fully spayed out standing 50 mm high where it reaches its maximum load bearing capacity and stability. ... permits the conversion of the mounting stud for mounting equipment with a 3/8"-16 mounting hole like a ball head shown below. 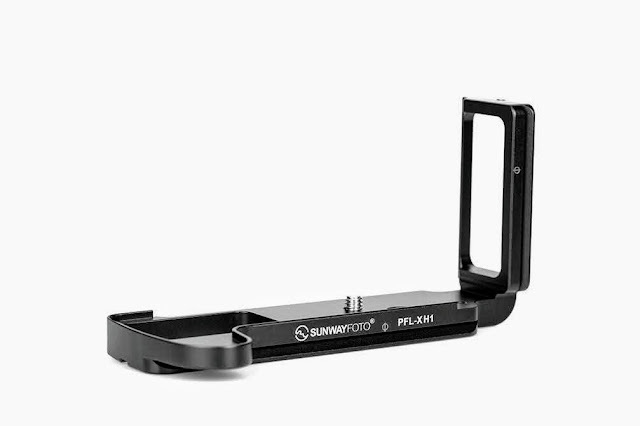 The top mounting plate can accommodate a small ball head like the Sunwayfoto FB-28 Lightweight Ball Head which makes it more versatile for some macro work on a tabletop or for supporting a small tele on a car roof. Nevertheless, much like all of this small footprint pods, it can be used closed, as a camera grip or equipped with an extra ball head making it ideal for the ever increasingly popular, interchangeable lens, mirrorless cameras. 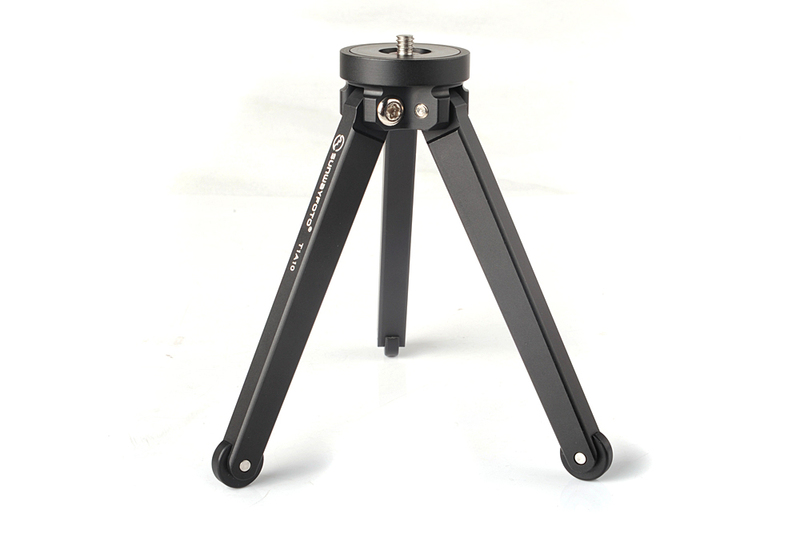 RRP price for the T1A10 Tabletop Tripod is US$ 33.00 and will be available in the stores by next week. 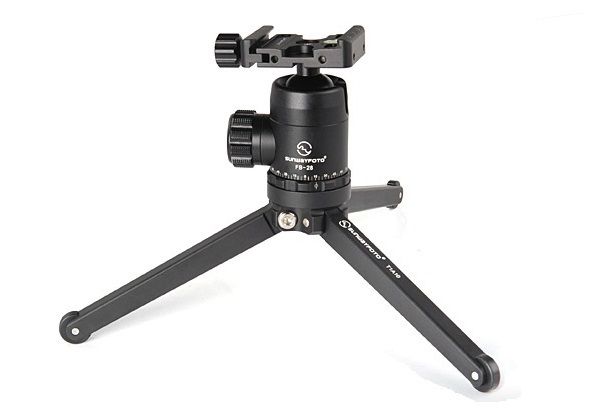 T1A10 Tabletop Tripod is available from Amazon and from eBay worldwide. Thank you too for the feedback. At least on my copy you don't! After I tightened them as desired upon arrival, have not had any problem since. 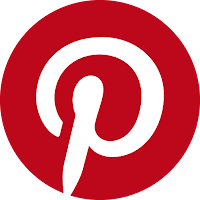 In any case, a couple of drops of blue Loctite or similar thread lock compound on each leg screw thread would eliminate the issue.